Making a yeast starter helps to ensure a vigorous ferment right off the bat. 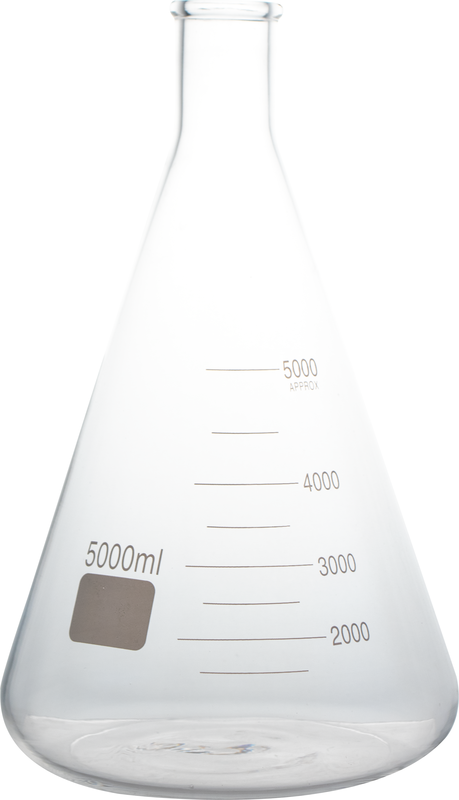 Use this convenient Erlenmeyer Flask to make it even easier! Air bubbles and variations will be seen in these "student grade" flasks. 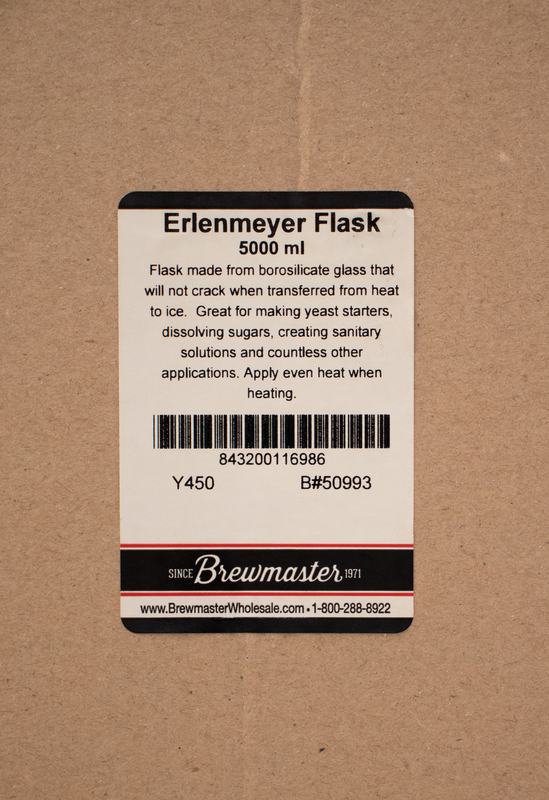 Student grade flasks are great for making yeast starters as the cost is reasonable for the craft brewer, and the flask is well suited for the job. Recommended Process for Use of Flask: The "Double Boiler" method. 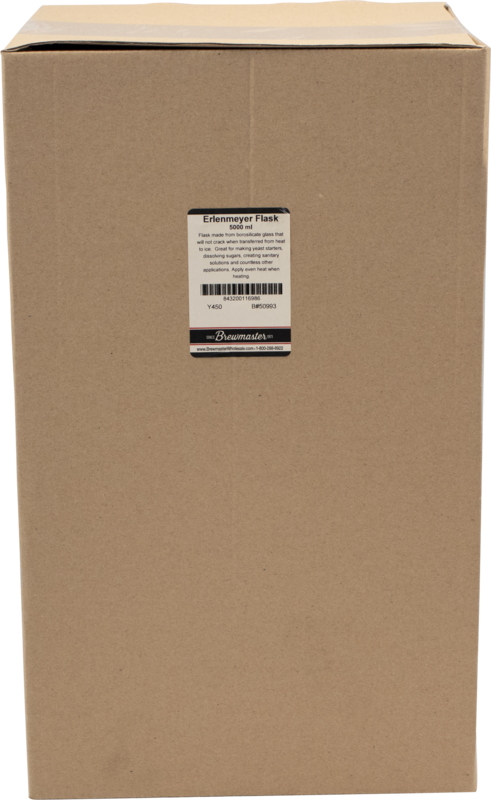 Our manufacturer has confirmed that direct heat to the glass can break down its integrity and cause it to break if the heat source doesn't distribute evenly. To prevent this, we recommend heating the flask inside a 3 gallon (or larger) kettle with water in it. The boiling water bath on the outside of the flask will evenly heat up the water inside the flask. If, at any time, the flask boils over or breaks, all of the spill will be contained inside the kettle.